The technological development is progressing extremely fast and it can be challenging to keep up, especially if you are a digital immigrant. Mattias Andersson has created a much-appreciated list with tips on how companies can take advantage of the technological opportunities to work more data-driven and based on more customer insights. However, it is not just about having the best system or loads of data; in order to fully benefit from the technological opportunities, companies may have to work in a different way than they are used to. Bio: Mattias has extensive experience with Analytics and CRM. Prior to launching the marketing automation agency, Friends & Insights, he worked as Head of CRM Analytics at Scandinavian Airlines where one of the main focus areas was digital transformation which resulted in a more customer-focused and data-driven organisation. The work was awarded two Gold medals in “Guldnyckeln 2018”. 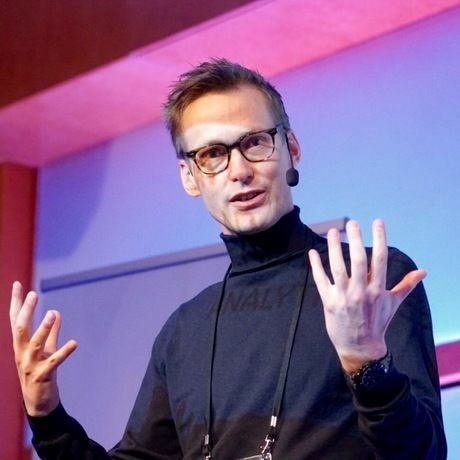 Mattias has, among other positions, been responsible for Customer Loyalty for Twilift and was Head of Analytics for the mobile operator 3 in Sweden. Mattias has also contributed to the book ”30 Advices from 30 Greatest Professionals in CRM and Customer Service in the World.” Furthermore, in a recent issue of the Swedish trade magazine, DM-magasinet, Mattias was designated ”De nya makthavarna – E-handeln förändrar marknadsföringen i grunden. Här är experterna du bör lyssna till”. Member of the Jury: Guldnyckeln, Echo Awards and 100-wattaren. Sime is Northern Europe´s leading event on digital opportunities. Each year we gather world leading speakers, thought leaders and experts, C-level executives, Unicorn founders, entrepreneurs, techies and marketeers for two mindblowing days in Stockholm. The event was created because we believe that knowledge about digital opportunities and technology is the key to future prosperity, better business and an important force to make the future a fantastic place. As a partner of Sime we are excited to be able to give you 20% discount on all ticket packages to this year’s event. Register here and use promo code CM2VIP during check out to get 20% discount! We hope to see you there!